Former games journalist and current UK TV presenter/writer Charlie Brooker’s dystopian sci-fi anthology series Black Mirror may be fictional, but it has touched on themes that are making their way into the real world. The latest being ads that know when you’re looking at them. 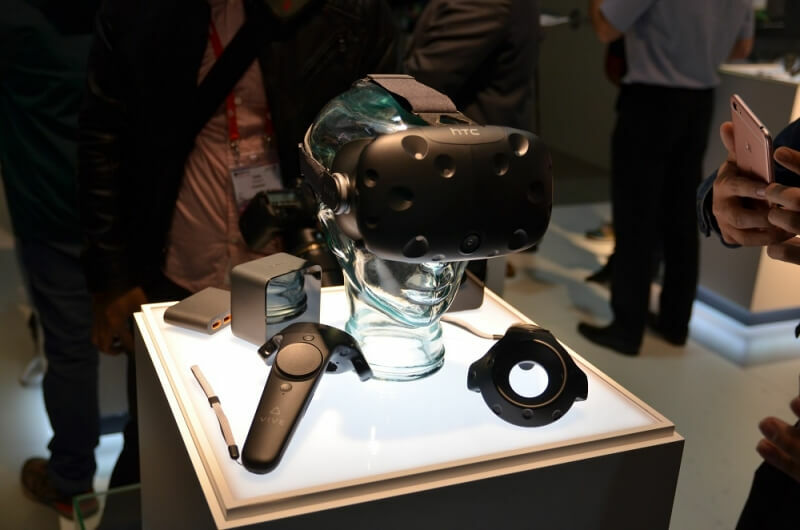 The technology is part of HTC’s recently announced “VR Ad service.” Essentially, it will allow brands to know if HTC Vive VR headset users have looked at one of their ads. "Ads that appear in immersive VR environments can not only provide more effective impressions, they can also track whether the users have viewed them or have turned away their gaze. Accordingly, the multiplied effect of effective impressions and verified viewings will bring you higher advertising revenue!" HTC writes. Business Insider reports that advertisers will only pay for an ad after a user has viewed it. The service is opt-in, so it’s up to the developers to decide if they want to include them in their applications. HTC states that by opting in, “all of your free apps would be automatically put on the list which can be used to integrate VR Ads." It’s important to note that the in-game ads will only appear within titles hosted on Viveport, HTC's own app store. They include banners, 2D and 3D in-app placements, and app recommendation banners. Black Mirror episode ‘Fifteen Million Merits,’ which stars a young Daniel Kaluuya (Get Out), features ads that know when viewers look away and punish them for doing so. The advertisements in the show can’t be skipped or ignored without a financial penalty. It's time for the dev's to develop an effective ad blocker for the VR platform and rather pay them for their efforts instead. They're at least they deliver something useful to you for your money. SirChocula, wastedkill and tuxbugy like this. Another way to shove ads in your face! Literally this time! "Ads that appear in immersive VR environments can not only provide more effective impressions" Not what I'd consider a positive impression..